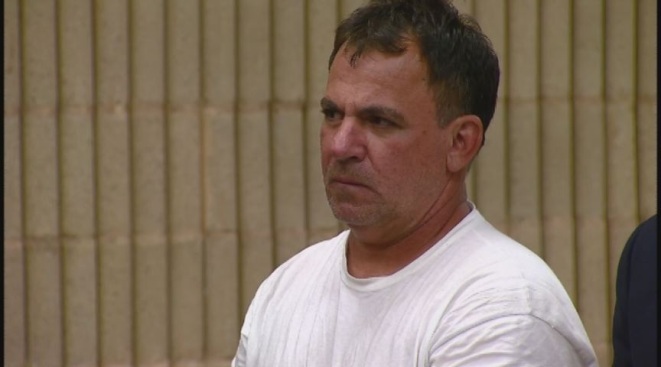 Police in Milford, Connecticut, have arrested a 55-year-old elementary school custodian who is accused of leaving gifts and inappropriate notes on a 10-year-old girl’s school desk in an attempt to develop a relationship with her. The Orchard Hills Elementary student went to the Milford Board of Education on Tuesday to complain that an adult was leaving notes and gifts on her desk, despite her requests that he stop. Police identified the person behind the notes and gifts as the school custodian, Robert Rua, 55, of Milford, police said. The student told her parents about the gifts, which started showing up at the beginning of the school year, then she left a note on her desk, telling the anonymous individual "no more gifts" because she thought it was strange, police said. Despite the request to stop, the notes and gifts continued to come, police said. According to the arrest warrant, Rua left a small drum on the girl's desk the first day of school with a blue sticky note saying, "I found you." Later, she found a wind-up bumblebee toy inside her desk and told the school social worker she suspected the custodian was behind it, the warrant says. On Tuesday, seven puzzle boxes containing 48 pieces were left on desks in one class and a student approached the teacher to report that a puzzle and another note had been left for her. "HI-U-LOL Wasn't shore u could read my writing was trying to disguise it in case some one found my note," the letter said. The note went on to describe Rua's favorite colors and musicians, according to police. "Remember I want to keep this just between us. Don't want anyone to ruin it 4 us. Don't want to loose [sic] my job. Be in big trouble Just remember when u hold that drum between the palms of ur hand [sic] and rub them together the sound you will hear is the beating of my heart," the note continued. The girl's teacher went to the principal for help. Police obtained a search warrant for Rua’s home. When they searched it on Tuesday, they found the same puzzle box as the one left on the desks at school, police said. Rua told police the puzzle belonged to his mother, who lives with him. Police said they compared Rua's handwriting to the penmanship on the notes and determined they were one and the same. Officers arrested Rua, took him into custody and charged him with risk of injury to a minor, second-degree harassment and disorderly conduct. Rua has been placed on administrative leave, according to a statement from Milford Public Schools. He never approached the student, according to the school. A judge issued a protective order for Rua to have no contact with the victim or Orchard Hills. He was original held on $50,000 bond, but was lowered to $35,000. He is due in court on Sept. 24.